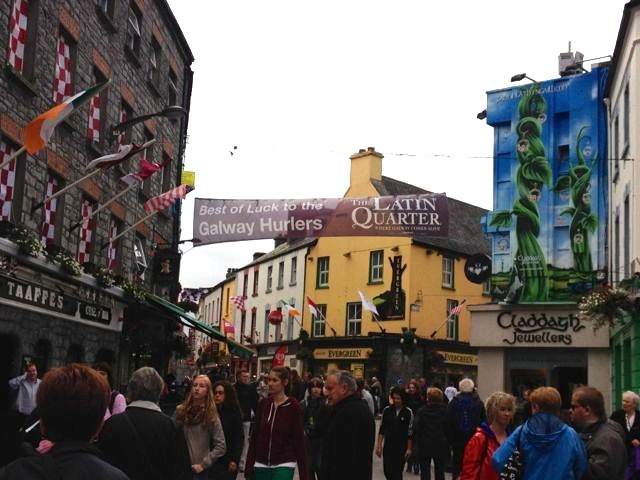 We’re over in Galway for a couple of days and here are some snaps from today. The county is in a bit of a state as they drew in the All-Ireland hurling finals last weekend and they have a re-match on next weekend. It’s a very big deal. We are staying at a fabulous hotel here in Galway – it was designed by famous Irish milliner Philip Treacy (you may know him as the guy who created Princess Beatrice’s hideous hat) and is very quirky. 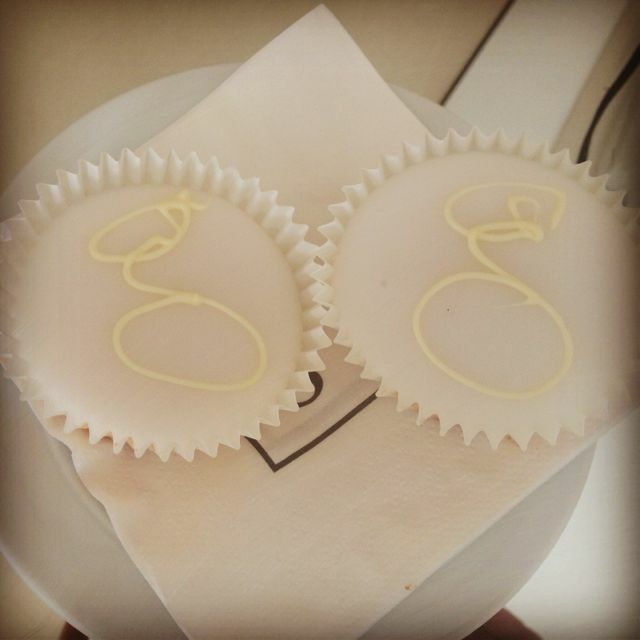 Nothing says ‘welcome to the G Hotel’ like cupcakes. And they were delicious. 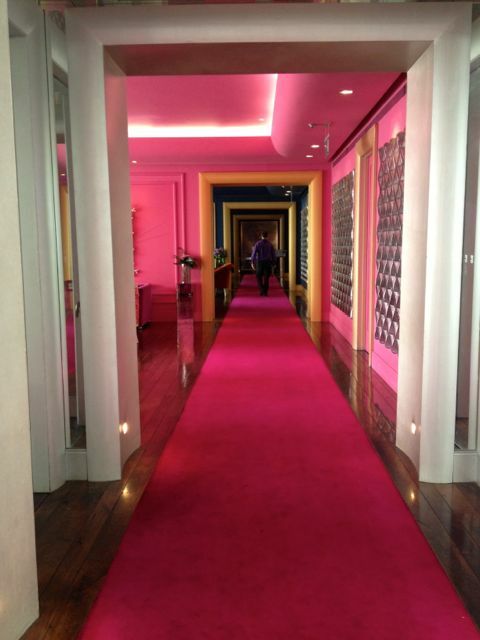 G Hotel’s reception hall & bar feels very Willy Wonka. Or Legally Blonde. 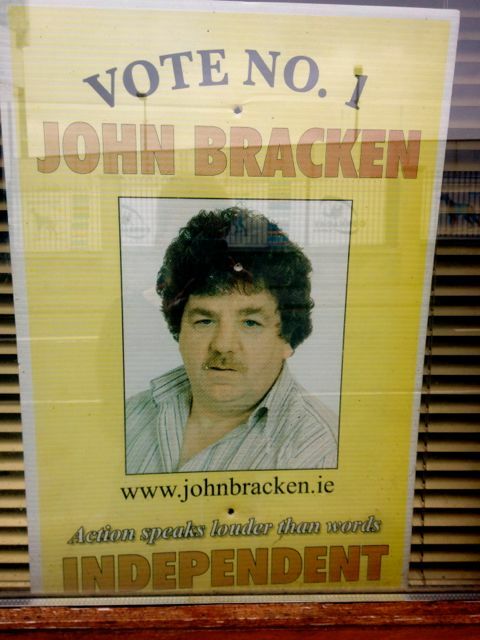 And probably my favourite pic for the day is this slightly dusty looking politician who didn’t bother making too much of an effort for his campaign posters. I know ‘action speaks louder than words’, John, but so do photographs. John’s the man. This sign was in a house window, along with a little kitten. 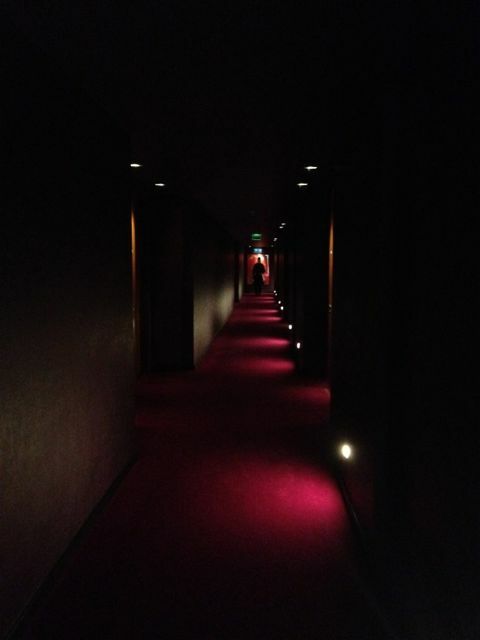 Ooooh – Sparks, I want to stay at a Philip Treacy hotel. Jealous! OK, Cate, love the travel blog ! . John Braken looks as though he could be the next Napoleon Dynamite ! Vote 1 for Pedro . Looks amazing – awesome photos. Wish I could peruse the claddagh jewelry store!